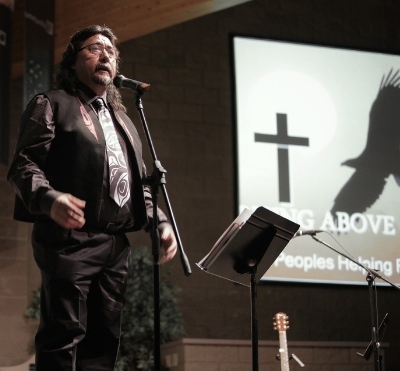 The recent screening of a film that reveals through disturbing eyewitness accounts the horrors of the residential school system could become a catalyst for healing between First Nations people and Asian evangelicals. 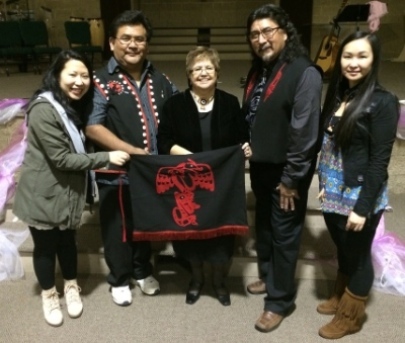 In late February, about 300 people showed up at VCAC – Fraser Lands Church to watch We Were Children, a 2012 National Film Board production that dramatizes the personal stories of two survivors – a man and a woman – of the church-run residential schools. Daren George (Wet’suwet’en) works with Rising Above. After the screening, Ivan Wells, a Christian with the Tsimpsian Nation in northern B.C., said both his parents were also abused as residential schoolchildren. And because his father had grown up away from his own parents, he in turn “didn’t know how to be a father,” said Wells. “He did to me what he learned at residential school. He was brutally physically violent and verbally abusive” – although not sexually abusive. By the time the last residential school closed in 1996, about 150,000 children had gone through the system. The idea for organizing the event – called Journey Together, Heal Together – grew out of the week-long gathering in Vancouver last September of the Truth and Reconciliation Commission. 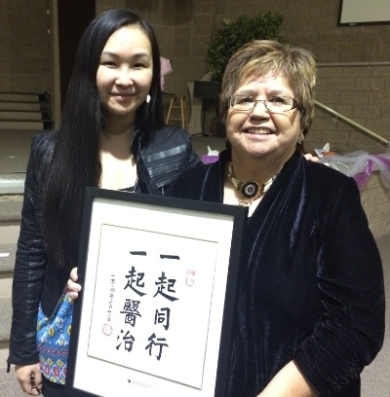 Leung used her own connections with the local Chinese community to promote the screening, but she says it was never the intent of the multi-ethnic planning team to make it just an ‘Asian’ event – even though perhaps 70 percent of the audience was Asian. And yet she admits she has “seen stereotyping within some of the Asian communities towards First Nations people,” especially among older, non-English-speaking immigrants who had never heard of the residential schools debacle. 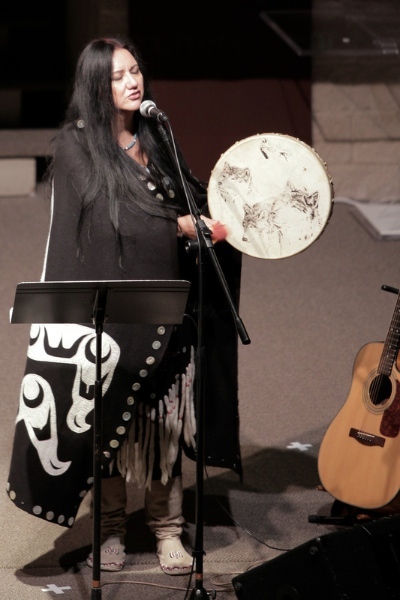 Cheryl Bear led worship at Journey Together, Heal Together. This article was first printed in ChristianWeek.